We close for the season on Wednesday, October 31st at 2pm. We have lots of planning to do for next year. See you in the spring with flowers! Don’t have a pumpkin yet? Stop over! Our Oswego pumpkin patch is open 9-6pm through October 30, 9-2pm on October 31. We have just the right pumpkin for your jack-o-lantern ideas! Lots of sizes, shapes, and colors. Don’t want to venture into the patch? 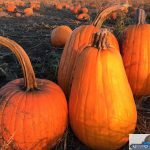 Our Naperville and Oswego Farmstands carry prepicked pumpkins for your convenience! Today is last day for U-Pick apples! Our Pick-Your-Own apple season will be closing at 6pm today. 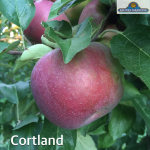 Cortland is the only variety available to pick. There is a limited supply. When they’re gone, they’re gone! Please refer to our Apples webpage for details. We have different varieties of prepicked apples, too, at both Naperville & Oswego Farmstands for as long as our supply lasts. Our apple season is winding down. Now is the time to pick! 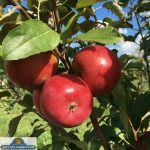 Our Apples webpage has available varieties listed. Oswego orchard is open 9-6pm. Time is running out to enjoy our Saturday & Sunday Fall Festivities! 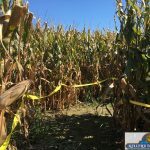 We offer a 10-acre corn maze, farm animals, wagon rides, kids’ play area, grain tables, and more! 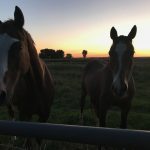 Located on our Oswego farm – out in the country! 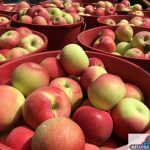 We also offer U-pick apples and U-pick pumpkins, as well as pre-picked apples and pumpkins. Apple cider donuts are available on Saturdays and Sundays. Join us for some fall fun on the farm! Open 9-6pm.